996. 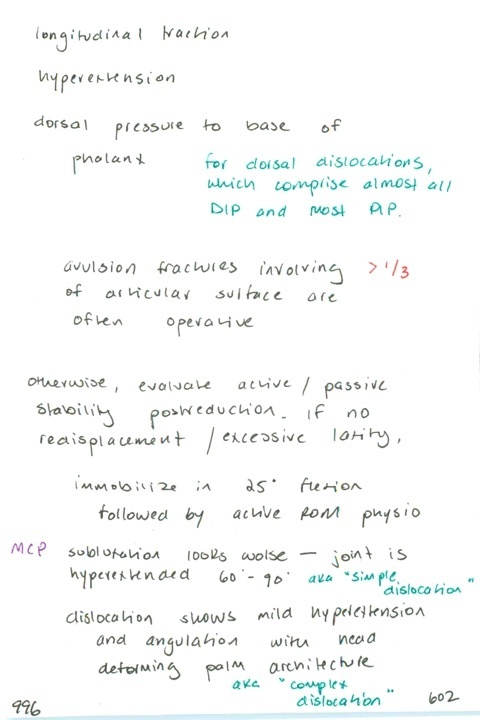 How to reduce DIP/PIP dislocations / If avulsion #? / Rx // Which looks worse on presentation: an MCP subluxation or dislocation? Next PostNext 997. Complex/complete dislocation of MCP Rx // Forced radial deviation (abduction) of thumb causes what injury? How do you test for it?